Last week we extrapolated and analyzed Luther’s premises to see if he had aligned them correctly into a valid chain argument or syllogism. You can check out that ‘step one’ explanation and follow our reasoning on the post dated 15 July 2015. 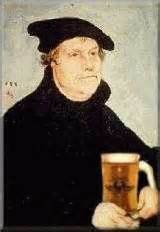 We showed that indeed, this church reformer applied his logic equally well to the merits of beer. In order to see more easily whether a premise is true or false, it’s best to write or ‘translate’ informal statements into their logical form. A crucial step is to decide whether the subject pertains to ALL ‘members’ or just SOME. Luther has used the pronoun ‘whoever‘. 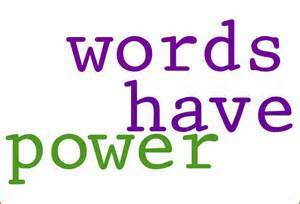 That is a universal pronoun, so we replace it with ‘ALL’ without changing our former monk’s intentions. 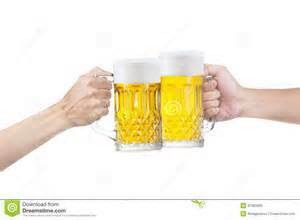 C – Therefore, all people who drink beer are those who enter Heaven. Logical Joes and Janes know that if any of the premises of the syllogism are false, then there is a problem. So let’s just start at the beginning with Premise 1. Is it true that ‘all those who drink beer are quick to sleep’? What do we have to do to test that statement? I, for one, can drink one beer and not fall asleep quickly. The premise does not mention HOW MUCH beer Luther had in mind. And there’s no point second-guessing him. All we can go by is the premise as Martin Luther allegedly uttered or wrote it. Therefore, just by a quick glance of the first premise, the syllogism breaks down. We could have started with any of the premises, testing their truthfulness. Take, for example, Premise 3 that ‘all those who do not sin are those who enter heaven.‘ From everything else Martin Luther wrote, I know for a fact that he did not believe that statement himself. For he was a Biblically-based theologian. And the Bible does not teach that one must be perfect to enter heaven. No one is perfect. 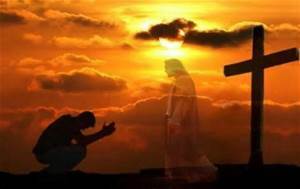 Those who are welcomed into heaven are those for whom Jesus died as a substitute, who have renounced their rebellion and gratefully accepted the gift of forgiveness. That’s it! We have finished our analysis – quickly, too. Do you see how easy it is to determine the truthfulness of an argument just by taking a careful look at one premise? Looking over this exercise of taking seriously what Luther surely meant in jest, we have reviewed that a sound argument has two parts. It must be correctly formed (that is: ‘VALID’) as well as formulated with true premises. 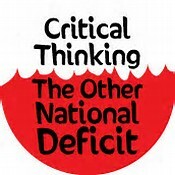 Practice yourself, especially in this season of much political and cultural rhetoric, where little clear and reasoned thinking is evident. Soon we will celebrate the 500th anniversary of Martin Luther publicizing his 95 ‘bones of contention’ with the prevailing Roman church of the time. Not among them was the following argument, but we can have some fun with this example of Luther’s logic. Let’s see if it’s sound. To determine if an argument is sound, we must test its validity and truthfulness. On to validity to check if Luther DID construct his argument correctly in how he laid it out. Step # 1 is to ‘translate’ it into logical form. When we encounter the pronoun ‘whoever’, we substitute the universal quantifier ALL. Maybe this is the first time you have encountered a chain argument. Don’t be thrown off by the existence of 3 explicit premises plus the conclusion. 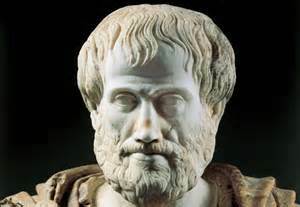 Aristotle never mentioned this argument, although it is named for him. The Aristotelian or classic ‘Sorites’ is a series of 2 or more syllogisms with accompanying unstated conclusions until the very last one. and we notice that this latest conclusion, renamed C2 from C1, was the original one in Luther’s argument – Therefore, all who drink beer are those who enter heaven. We’ll stop here for this week. The argument IS valid in that the premises and both the extrapolated as well as original conclusions are in the correct form. Let me know what might still be unclear. Next time, God willing, we’ll tackle the truthfulness of each premise. If we determine that the premises are true, it follows that the conclusions must be true because we know the sorites is correctly laid out. But only if we find all to be true can we THEN conclude that Martin Luther presented a SOUND argument to his beer-swilling buddies!